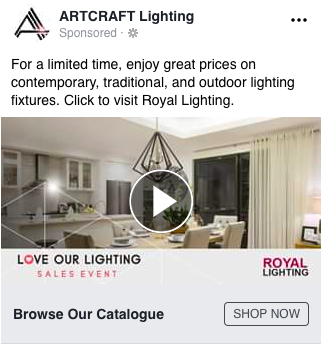 A Case Study On How A Lighting Fixture Manufacturer Collaborated With Their Retail Customers To Drive Consumer Traffic To Points Of Sale With Social Media. Artcraft Lighting has manufactured high-end traditional lighting fixtures since 1955. Based in Montreal, Quebec. Artcraft continues to produce top-of-the-line products—from bathroom vanities, table lamps, hanging pot racks, ceiling fixtures, decorative mirrors and ornate chandeliers, to exterior sconces, pendants, and post lanterns to its many retail partners throughout North America. For many years Artcraft produced print catalogues of products which were sent to their network of retailers who distributed the catalogues to their customer base. One of the challenges with the print catalogues is that once they were sent to the retailers, there was no way of knowing where they went from there. How was each retailer distributing the catalogues? Did they reach the intended demographic? Was it truly seen…and if so, by how many and by who specifically? 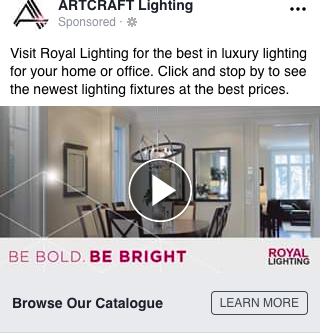 In an industry traditionally slow to adapt to change the management team at Artcraft Lighting took advantage of an opportunity to support their valued retail partners by collaborating on a Facebook & Instagram ad campaign that would be targeted to consumers as well as tradespeople within a specific radius of each retail location within Canada & the U.S. Through a series of ads, we were able to target by age range, location, job title, lifestyle interests as well as other key demographic markers. Each ad would be animated to be eye catching with different messages to see which ads were most effective and eliminate poorly performing ads. The ads were also customized and branded with each retailers logo and, when clicked on, would link to a page on the retailers website such as a “contact us” page where they would see the address of the location or locations as well as the phone number to facilitate easy access to each retailer. Many of Artcrafts retail partners participated, some with more than one location. The initiative ranged from 4 weeks to 12 weeks depending on the retailer. Our reach (the number of UNIQUE potential consumers that saw our ads) was 701,866 geo-targeted consumers. 43,752 of those we reached clicked on the ads and were driven to the retailers website. 3,203,701 was the total number of impressions (the total number of times potential customers saw our ads). In conclusion: The first round of our retailer campaign allowed Artcraft Lighting to be perceived as an innovative front runner in their industry. Artcraft was able to partner and support their retail customers with a value added advertising campaign with metrics that clearly showed how many end user targeted consumers saw their ads and how many clicked through for valuable contact information. Some retailers reported increased traffic to their websites over the course of our campaign. We effectively reached geo-targeted consumers and potential consumers very cost efficiently over the course of the campaign. Word of mouth and referrals. This is of course integral to the growth of any business and how most companies will tell you they get new customers. While word of mouth is the cornerstone upon which social media is built and new customers are secured, many business leaders don’t fully appreciate that retaining their existing customers is another important way to leverage new referrals as they tell their friends about your business. In various studies on the subject, the majority of consumers trusted their friends –and even their “non friends”- for recommendations on a product or business. If you want to have word of mouth work for you, satisfying your existing customers as well as converting new ones into returning consumers should be of paramount importance. Customers leave because of a bad experience such as a legitimate complaint that remained unanswered. You’ve got to engage your customers and turn a negative into a positive so that your consumer is satisfied and shares the positive experience or outcome with others. It’s called customer service! Consumers in today’s market want to know that there’s someone at the other end of the Facebook post, and that you stand behind your products or services. Having a consumer receive a positive experience from your organization in response to their negative comment (a coupon, an explanation, an apology….etc) is why consumers remain loyal to a brand. Your existing customers are there because they like your product and feel well treated. We’re all human and make mistakes. If you can admit an error and rectify it by offering a value added incentive, your consumers will be forgiving. Treat your customers well and they’ll return the favour by telling others! Most importantly, retained customers are your reason for success as they provide your revenues, and likely on a constant and recurring basis. We all work so hard to gain customers and should likely work twice as hard to keep them. When you lose a customer you’re losing their business as well as driving them to your competitors. You then run the risk of losing more of your customers through the same word of mouth that originally brought them to you. Oh… and by the way… returning customers do tend to spend more! Left On The Table Or Deep In Your Pockets. Where Do You Want The Money To Go? Low hanging fruit. Every business wants to capitalize on revenue that can be more easily generated from a large common denominator of consumers. Too many are unnecessarily missing a golden opportunity to leverage Social Media as a very effective way to capture this low hanging fruit. If your company sells directly to consumers (B2C) and has an e-commerce website, -but isn’t leveraging it through social media – you may be leaving important new business on the table! If so, are you likely missing a critical opportunity to drive revenue to dedicated buying pages on your e-commerce website! You are also missing a mechanism to develop and grow the customer base that may otherwise follow your company. You can then create Facebook specific offers for both existing and new followers. Your website becomes the-spider-in-your-web of on-line marketing. The various social networks become the sticky “spider web”, serving to extend a wider net driving traffic to your website. You also have the opportunity of maintaining a relationship with your new consumer and influencing their next purchase by offering Facebook specific offers while maintaining a “top of mind” relationship with your Facebook Friend that even extends to their friends. 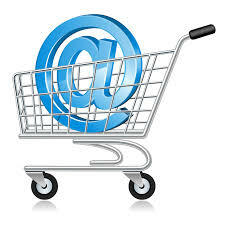 Is your company B2C, but without e-commerce capability? 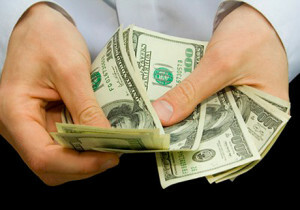 Well, even if you don’t transact online, you should be making use of Social Media as an important lead generating tool. 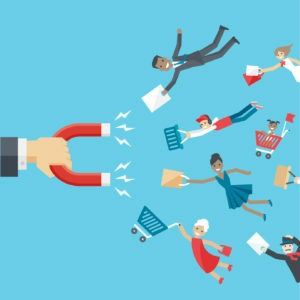 Facebook affords you the opportunity to build a community and to influence prospects to transact their upcoming purchase at particular retail locations by supplying them with content such as value added offers. It’s a win/win! You generate revenue and build your community. The consumer receives an incentive to purchase your products. You then can benefit from the newly offered opportunity to follow consumers interested in your products throughout their purchasing life cycle. Are you a business that sells to other businesses (B2B)? In most cases, a Facebook presence can generate revenue for you too! You likely have no idea of the extent of the business you may have been losing! As a product manufacturer or distributor, once your merchandise had left your doors you historically had little opportunity to enjoy feedback about how consumers used them and what they thought about them. Well now you can educate them as to your products and services and continue to engage them throughout their buying life cycle. Regardless of whether you manufacture garments or shower doors the opportunity to drive consumers to retail locations where you’ve influenced them to purchase your products creates a true win/win/win. The consumer can receive an incentive to buy your product that they are looking for. Your retailer is happy because you’ve driven business to their location with the opportunity to generate incremental purchases from that consumer. You’ve made a consumer happy because they bought what they wanted… your product. Your win is that you’ve supported your brand, built your customer community and generated a sale. Moreover, you now have the opportunity to create brand loyalty by continuing your relationship with consumers of your product in a way you could not before Social Media. And you can further develop specific programs to reward customers to promote your company or product through viral word of mouth. There are very few companies that are not suited to Social Media as virtually all consumers now look for their products or services online, read reviews online, or verify with friends on Facebook to inquire about their purchase experiences. Consult with your Social Media consultant (hi there!) to find out how to best leverage Social Media for your company and begin to generate new revenue that is presently there on the table for the taking. Not sure about any of this? Challenge me about YOUR business situation. What are your businesses products or services? Let me help you understand not simply what you’re missing, but how to get a bigger piece of the purchasing action! Take the money from the top of table, and put it in your pocket….where it rightfully belongs! Social media evolution, along with advances in technology, have transformed the way marketers think and changed the way they behave. With plentiful data and readily available metrics, marketers can now drive measured results as never before. And they do! By leveraging social media, your organization has the ability to build a loyal community of followers, maintain a “top of mind” relationship with your prospects and customers, and share your message which should result in increased sales and an overall boost in business for your company. Social media platforms have quickly become arguably the most effective, targeted form of online marketing ever. Yes, ever! 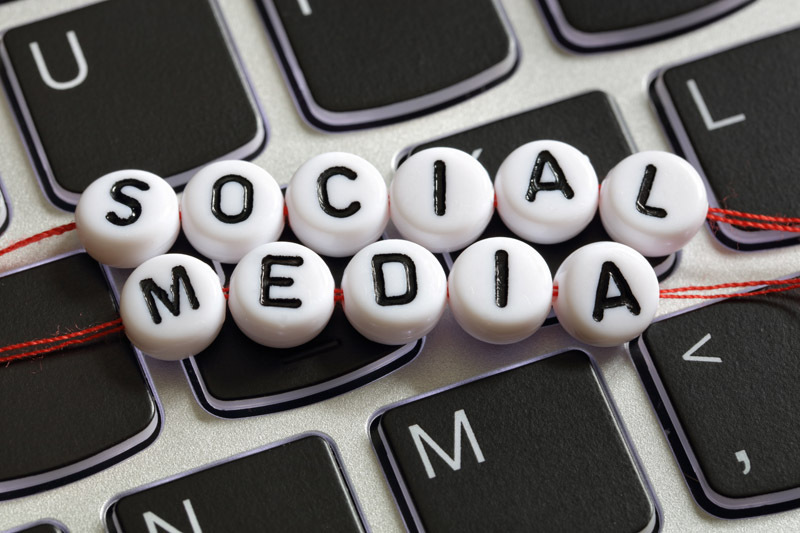 Read on for 5 key tips to help you drive more sales for your business through social media. 1. Use the same handle across your social profiles. It’s branding 101. Using your brand name as your handle across all social media platforms makes it easy to be found by potential customers regardless of platform. 2. Leverage user generated content. There is no better testimonial than receiving content created by followers of your business about your business, which can of course be repurposed. Leveraging user generated content instills a trust factor in perspective consumers as it is created by a 3rd party. Followers love to see their content being shared and appreciate that you are paying attention to user content. Create a branded hashtag allowing your followers to easily talk about your business and products. Also, try offering incentives such as “Pic of the Month” contests, discounts or giveaways encouraging consumers to share their content with you. It sounds simple, but communicating with your targeted demographic on the platforms where they are active, is key. You don’t need to be everywhere…but only on the platforms relevant to your business and audience. Create messaging that will resonate with them. It is not important to interact with everyone, but it is critical to reach those most likely to engage with your brand. Targeted ad campaigns on the various social platforms allow you to drill down to your tightest demographic. Talk to your demographic using language, keywords, phrases and emojis that will resonate with them. It’s called social media for a reason. Be social. You want to be able to communicate with consumers easily using tone and messaging that is relatable to them. 5. Make it easy to convert. It should be made as easy as possible for a potential customer to complete their purchase. It must be seamless for consumers to navigate through your website and complete their purchase process in as few clicks as possible. The more clicks it takes to complete a purchase, the greater the likelihood that the shopping and buying processes will be abandoned, lowering your conversion rate, and delivering fewer sales. Take advantage of the various tools offered by each platform to help optimize your performance. At the end of the day, it’s all about driving sales and generating ROI from your social media platforms. Taking into account the 5 tips mentioned above should help make your social media efforts pay off for your business. I’d welcome your thoughts, appreciate your input, and am of course always ready to provide additional information. Please get in touch by calling me, Jerry Cytryn, at 514 824 2262 or by clicking here. 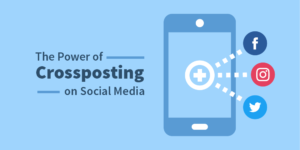 Leveraging one piece of content across multiple social media platforms, or cross-posting, is a great way to expand visibility and save time . Sounds easy doesn’t it? It can be, but it can also go very wrong. 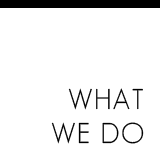 – Looking to maximize their budget and time by creating content that can be used across various platforms. – Feeling they only need a presence on social media. – Not able to dedicate the resources to create different versions of original content. – Entrepreneurial but time challenged, and that execute content on social media. A pet peeve of mine is seeing brands whose social media platforms are connected. That’s the easy way out and most often leads to an under-utilization of the specific and distinct advantages offered by each respective platform . An example is posting from Facebook to Instagram and not leveraging hashtags on Instagram to get organic reach. Conversely, posting directly to Facebook from Instagram with too many hashtags as users do not search for hashtags on Facebook! Here are 3 tips to help you cross-post successfully, while maximizing your opportunities and saving valuable time. Familiarize yourself with the unique capabilities and functions of each platform.Take the time to learn their specific tools. Knowing this will allow you to optimize each post and to adapt content for each platform. Examples would be the maximum number of hashtags for an Instagram post (30) or how much text can be on your Facebook image and still have it fall within Facebook’s advertising guidelines (20%). Not all content belongs on all platforms. Not all content is suitable on every network. Each platform is different and should be treated as such. An example might be pictures or video of an inter-office birthday party. It may make for a great Instagram post or story but may not be the best fit for a corporate LinkedIn page. Content however, can be adapted to suit the unique attributes of each network. Adapting your content for each platform. Once you have a confident understanding of each platform’s strengths, you’ll want to optimize your content before posting on each one. As mentioned above…hashtags on Instagram…absolutely, and a great way to achieve organic reach. Hashtags on Facebook or LinkedIn…not so much. You can now put into practice the steps mentioned above and transform each of your posts to suit each network. Some will likely already be fine with only a few minor adjustments needed. You may need to add or delete hashtags, reduce the size of text on images, expand or shorten captions, or change the tone in your text depending upon the platform and its user audience. I would be pleased to make myself available for a very brief 15-20 minute conversation at your convenience so as to discuss your company’s growth objectives and how to drive profitable growth inexpensively with social media. This simple tactic could effectively become a complementary -and highly successful- sales & growth channel for your business. Please get in touch by contacting me at 514 824 2262 or by clicking here. Want to make your social media marketing profitable? Here’s how! While it may seem darn impressive to have 10,000 or 20,000 followers on your social media site, if they are not converting into revenue…what are they really worth? Since the rise of social networks like Facebook more than a decade ago, marketers have been eager to build social media communities based on corporate strategies. Many have felt that to generate revenue, social media is the most targeted and cost efficient marketing vehicle. 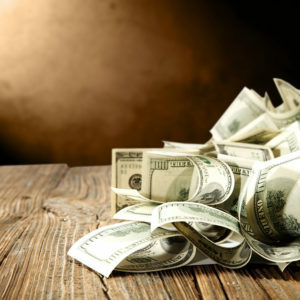 While social media marketing is not necessarily a money making machine, it often proves to behave as the most cost effective marketing vehicle for many companies. Here are 10 ways to make your social media profitable. In the times of yore it used to be that a social media campaign was a free marketing option. It still costs nothing for a company to create a business page or to post informational or promotional content to it. Where it has evolved is that to reach your targeted demographic you must now pay to play. While still one of the most cost effective forms of marketing, the addition of an ad budget is the “secret sauce” to reaching your audience with social media. Create a formally documented strategy that clearly lists your target audience, your specific goals and projected growth objectives. This will allow your team to post content that is relevant and “on-strategy” so that the information will serve to drive those actions that you want your prospects and customers to take. You’ll also have a template to follow which can be adjusted over time. You must be consistent with your posting schedule, providing information on a regular schedule. Avoid Stay multiple daily postings during one week, followed by an absence of disseminating information the following week. Importantly, over-posting will alienate your followers and could lead to them unfollowing your social media site. An optimal posting schedule would be approximately 3 to 4 times per week, depending upon the platform, and will allow you to maintain a “top of mind” relationship with your community. A mix of content offering both informative facts as well as some promotional information dedicated to generating sales should keep your followers engaged. Whether it’s through the provision of engaging lifestyle content that your followers will find of interest or through offering special deals or discounts, your followers will only enter into the conversation if you add perceived value for them. It’s called social media for a reason. It is important that your followers feel that your business is welcoming. Be honest, be humorous, be engaging. Don’t take yourself too seriously in tone. If you wouldn’t say it in a conversation, don’t say it on your page. Putting a face to your business makes you seem open to conversation. Securing or capturing new followers without having their engagement defeats the purpose. Once someone has chosen to follow your page, they know who you are and what you do. It then becomes a matter of keeping them engaged. Lifestyle content that is “on strategy” will offer interesting information for your community. Offer insights into information you think your demographic will find of interest. Paid reach is also an integral part of growing engagement opportunities as the more eyeballs that see your content, the more likely you are to get increased interaction as well. Your call-to-action is critical (clearly articulating the steps that you urge your readership to immediately take), and ultimately how revenue is generated. Your goal is to occasionally call your audience to action by sending them to your website, brick and mortar location or giving them the opportunity to buy something. Whatever the destination or intended action, it should either generate revenue or get your brand one step closer to generating revenue. Metrics are a key component to any social media strategy. First set your objectives, then evaluate the variables. What is your cost of acquisition? What is your cost per engagement? What time should you be reaching out to your demographic? As opposed to traditional media, these metrics are readily available through social media. Your strategy should have a clear end goal with attainable benchmarks along the way. One of the most significant advantages of social media is that your communication strategies, creative approaches and customer targeting can all be tweaked and improved based on results. Lastly, you should think and plan for growth. Once you’ve achieved your preliminary goals where do you go from there? Do you begin to leverage other platforms? Do you think about growing your social media team? If you were stumbling with the implementation of your social media initiatives in house, do you out source to social media specialists? All valid questions that will need to be addressed going forward. Adding these 10 all important ingredients to your social media initiative should result in your business generating a return on investment (ROI). Executed properly, social media should behave as your company’s most cost efficient marketing vehicle. 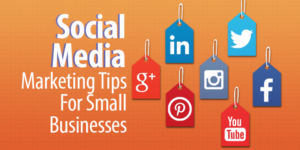 More than 80% of small and medium sized businesses leverage social media to market their company. As more consumers use social media platforms to engage with brands and companies, this number will climb. These facts are relevant only if companies continue to get involved, because their customers certainly are! Here are a few tips to help you engage your local demographic. Consumers are more likely to engage with a post that contains a visual. Ensure that your posts all include an appealing image that compliments the caption. You don’t have to hire an expensive photographer as great images can come from our smart phone camera. You can also monitor relevant hashtags and use images that have been taken by happy customers. Pay attention to the analytics offered by each platform. Be aware of the time during which most of your followers are seeing your content. What type of posts are garnering the most engagement? Follow your most successful content with similarly themed material. Please note that quality content captures interest and engagement, and always beats out higher quantity that is less relevant. You may have a Facebook or Instagram page but get very few new followers, and those who do follow are not engaging with your content. As social media algorithms only allow you to organically reach a fraction of your followers, you are highly encouraged to establish an ad budget to better reach potential and existing followers. Geo-targeting options even empower you to select the preferences and locations of your specific demographic. For a few dollars a day, businesses can reach their local targeted market. Everyone likes to be rewarded, or feel that they have gotten a great deal. There are many options such as a gift with purchase, a discount, free or bonus product, a gift card etc. It doesn’t necessarily have to be of great value to achieve the objectives of driving interest, purchase intent and increased sales volume. Metrics show that most often, the investment cost of whatever incentive you’re offering ultimately generates more revenue than would be achieved by directing your budget towards advertising. The conclusion is that if you build it (and just leave it), they may not come. Simply having a Facebook or Instagram page won’t guarantee success.Taking advantage of the tips above is a good start in leveraging your social media. Certainly, by reaching out to a social media professional (Click here), you can enjoy additional guidance and take advantage of many additional strategies that can be customized and targeted for your specific target audience. Social media success means that your consumers get involved with the products and/or services offered by your business, and then watch how much faster your business will expand! 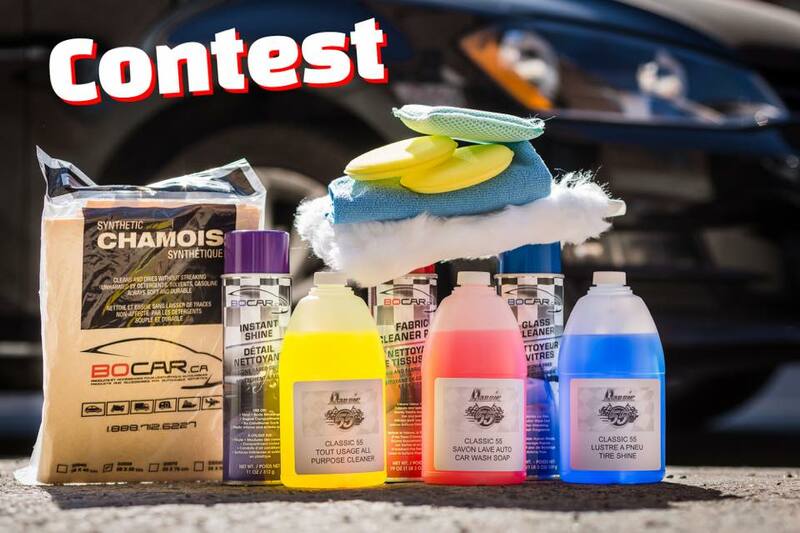 Bocar Car Care Products is a leading Canadian marketer and distributor of professional automotive cleaning and detailing products and accessories. 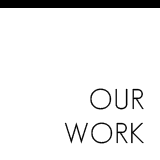 Cytryn Design & Communications began working with them in early July, at which time their Facebook page had 506 followers. One strategy marketers use to gauge consumer interest in a brand is to create a small, simple contest. With this in mind Cytryn created a consumer friendly contest where followers had to tag a friend and share the post in order to enter. The post that we created which is being shared by the contest entrant (to their social media page) will now result in their followers also seeing it. Tagging a friend means that the friend now gets involved, and so their friends see it as well. In a successfully conceived and implemented contest this should lead to “organic reach” (naturally occurring expansion) as one friend tells another friend who tells another friend and so on. 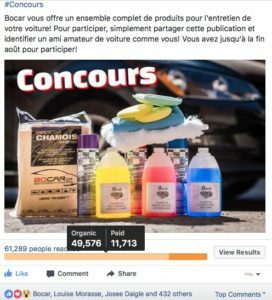 This Quebec based company launched their contest in French on August 3rd, and followed this in English on August 14th, with an expected completion at the end of August. When Cytryn creates a post, contest or informative content, we will immediately begin to monitor its organic growth. When it becomes clear that it has reached its maximum audience, we will often suggest an incremental budgetary investment in advertising to “boost” the post and reach an even wider audience. 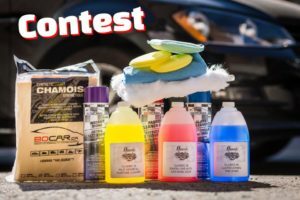 Within 2 days of launching this contest we knew we had a big winner! Our monitoring revealed that the organic reach was increasing exponentially. Although we did modestly increase the ad budget to attain a wider audience, the original organic reach resulting from the 2 posts greatly exceeded the subsequent paid reach. 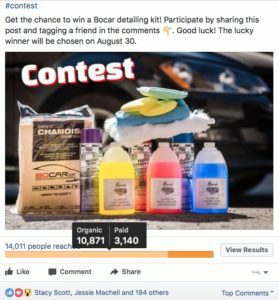 In conclusion the takeaway from this contest is that consumers are interested in Bocar and its products. For the cost of the retail products given away, far more consumers were reached than what had been expected from the paid advertising portion. Moreover, our 506 followers have more than quadrupled, growing to 2,051. 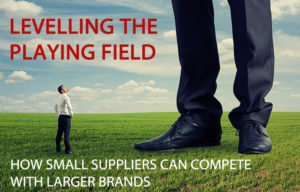 Leveling The Playing Field; How Small Suppliers Can Compete With Larger Brands. 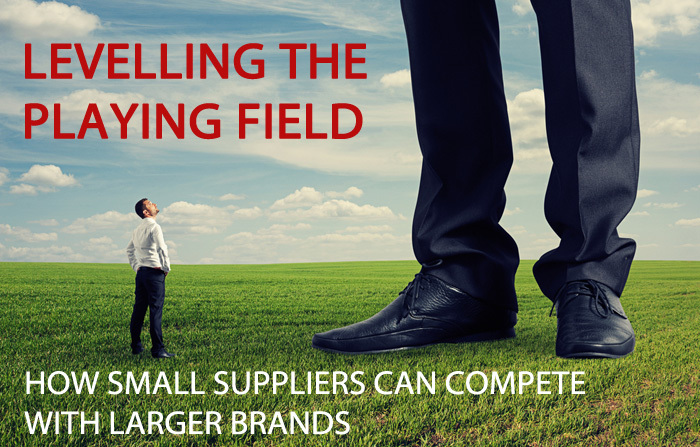 Social media has leveled the playing field between large and small businesses. Small business can even be more effective than larger competitors because they can often react more rapidly. When implemented effectively, social media can elevate your business above the larger competition in your area. Here are 6 tips to get you in the game. 1. It’s called “social” media for a reason! One of the biggest advantages social media has over traditional advertising is that it allows for direct interaction with existing and potential customers of your business. Consumers are looking for companies that take an interest in them. The purchasing public notices social media activity, re-Tweets, comments, posts, and timely responses to questions. These online activities all go a long way to establishing a more direct line of communication with your stakeholders. Make sure the profile pages on your various social media platforms reflect who you are, and what you want to communicate. Be creative in highlighting your value proposition, and always ensure that your organization’s branding is on target. Your company (or firm or agency) logo, tagline, and colours should always be consistent both on-line and off-line. Each social network offers design and text capabilities; use them, but stay on strategy. Always respond to online questions, queries or critiques in a timely, professional manner. Your community will notice that you are paying attention and are being responsive. Not all comments will be complimentary. Embrace those opportunities to turn a negative into a positive experience. If necessary you might even take the discussion off-line, but always let those who care enough to comment know that their situation is of importance to your company, and will be dealt with. Connect your social channels where applicable to expand your reach. Let customers know which of the social media platforms you can be found on. 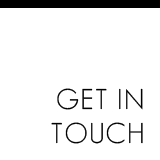 Make sure to put social media “share”, “like” and “follow” buttons on your e-mail signature as well every page of your website to allow friends and family to not only find you but to share their opinions with other possible consumers. 5. You don’t have to be everywhere. Decide which platforms are best for your business and leverage them. Each one is different and has a unique raison d’etre and type of following. It’s better to align your profile on fewer but do them correctly than it is to have a presence on too many, and not have the time or resources to execute properly. Half the game is in creating a strategy that your followers will relate to, and that represent your offerings and their interests. Develop and post content that appeals to them and that they can relate too. Don’t post just to post! Always be on strategy. You’re on the field. You’re in the game. Now, grab the ball and run with it! The objective of every business is to increase their revenue base and maximize market share. Targeting your competitors’ customers to convert them to your brand is a natural focus of activity, and a great way to grow your business directly at their expense. As you prepare for the task of marketing your business to a selective audience of prospects, one of the most efficient strategies is to take advantage of the targeting tools offered on Facebook, Instagram, Twitter & YouTube. Facebook and Instagram make it quite easy to reach your competitors’ followers as their ad settings facilitate the targeting of these consumers who ‘Like’ the pages that have been posted by your competition. This allows you to easily identify your common targeted demographic as those consumers already follow your competition. Once they then initiate a following for your company, you can engage them with your message. Twitter has a similar approach to Facebook and Instagram. Twitter ads allows advertisers to reach followers of specific Twitter accounts. By targeting those accounts, only their specific users have visibility of your ads. Some might suggest that YouTube isn’t really a social media platform, but being that it is the second largest search engine behind Google, I would disagree. It’s called social media for a reason! If you can engage people and ‘Like’, share and comment on content…it’s social! If your company has video content, you can effectively leverage it by using placement targeting directly on your competitors’ YouTube channel to promote your videos. If ads are permitted on that channel, yours should appear as a promoted video or ad to all who would be exposed. How sweet! Cost effectively reaching the audience members from within your targeted market with the intent of conversion to your product or service is a core objective of every business. Capitalizing upon the work they’ve already done in building their communities is a highly effective strategy, and just makes sense. By leveraging the paid targeting tools offered by the various social media platforms you can do just that! If you haven’t yet directly targeted the audience that has engaged with your competitors, you really may want to give it a try! As most of us are well aware, social media marketing is in, all likelihood, the most efficient way to market products or services to an organization’s targeted demographic. In today’s world, consumers are using platforms such as Facebook, Instagram, Snapchat, Twitter and LinkedIn to communicate with each other. Based on that reality, communicating and promoting where your consumers are is nothing more than common sense. With a well thought out strategy in place, your business can successfully connect with your demographic in a highly effective manner, and do so most cost efficiently. 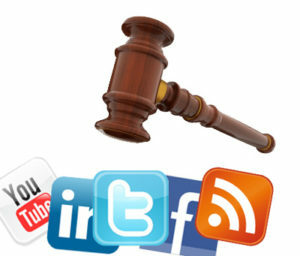 Here then are 8 laws to be followed in your quest for social media success. It’s not all about you! You must be willing to listen and engage. 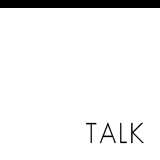 Enter into conversations with your followers. Offering a reply or comment can go a long way to building customer loyalty. Answer questions. Keep it light. It’s better to do one thing right than to do many things in a merely adequate manner. Select a platform which best serves your needs and where your consumers can be found. You can then create a social media content strategy to target your demographic. Own that platform and then move onto the next. Simply having more fans doesn’t necessarily translate into automatic success. Target your demographic as tightly as possible to create interest and engagement. It’s also better to post less than to post just for the sake of posting. Well thought out creative and appealing content will always be more effective than posting just because you feel you must. If you have nothing to say, say nothing. Also, nobody wants to see many posts in quick succession. It clogs up your followers’ newsfeed and is a sure way to have them “unfollow”. We’re all familiar with the children’s tale where the tortoise wins out over the hare. Realize that your following will grow with time. You can, and should, pay to play when it comes to social media to accelerate growth and engagement but understand that this is a marathon, not a sprint. Find the people who have significant followings and who interact with your demographic. Engage with them so as to share your content and talk about your business and its products or services with their following. This serves as a third party endorsement from a valued resource that can help you reach a new group of people. Content is king. Be informative, engaging, talk about your business and its products but also behave as a lifestyle magazine for your stakeholders. Post great content less often. By creating great content, the hope is that your followers will share it with their friends thus giving you organic reach. Having content that followers share with their followers is the best testimonial you can get! Be social! Just as you wouldn’t ignore a person standing in front of you asking a question so must you also be attentive to comments and questions on your social media platforms. Social media is networking on steroids. Don’t miss the opportunity of letting your consumer know that someone is there. In conclusion, as a marketer, there has never before been the opportunity to so tightly target a specific demographic and reach out to these prospects with your products and services. Being able to maintain a relationship with them is where you must stand out from your competitors. Do not miss the opportunity to take advantage of the biggest networking event in the world! Social media offers any company with an e-commerce website the opportunity to create an additional revenue stream by driving consumers to its website. Doing this can increase your client base and you’ll get to know who your customers are, providing you the ability to maintain contact with them. This new dialogue with the individuals in your target market is the beginning of a relationship that will have your customers coming back for more… if you do it right! If your company has an e-commerce website and you’re not capitalizing upon the various social media platforms to drive customer traffic to it, you are missing out on a golden opportunity to increase revenues, and likely at your competitors’ expense. Your first step might be to use Google Analytics to determine where your products are being shared and which of your products are most popular. Facebook and Twitter are the most popular platforms these days but if your company has a visually appealing range of products you may want to explore Instagram or Pinterest. For example with 90% female followers, Pinterest is where it’s at for you! When setting up your accounts make sure to create vanity handles that contain your brand name so that it’s easily searchable such as https://www.facebook.com/cytryndesignandcommunications. As an added bonus, it will also to help with your Search Engine Optimization. Use “share” buttons. Allow consumers to “share” your products from your site to various platforms. The more customers that share your products the more exposure you obtain and the greater the likelihood of stimulating a conversation that relates to your products and services. This creates an online buzz and often directly results in more sales. The opportunity to share every product gives clients the option of spreading the word. Embed your social media links everywhere you can, e-mails, e-signatures, invoices. It’s called social media for a reason! You now have a direct link with your consumers. Social media behaves as an extension of your customer service department. Listen to the comments that your customers make. Reply in a timely manner. A simple “thank you” shows that you are paying attention and goes a long way to establishing a loyal customer base, engendering their trust and building a longstanding relationship with them. It’s important to note that building this type of relationship can not only be predicated upon a constant stream of sales promotions. It’s not all about the selling though. 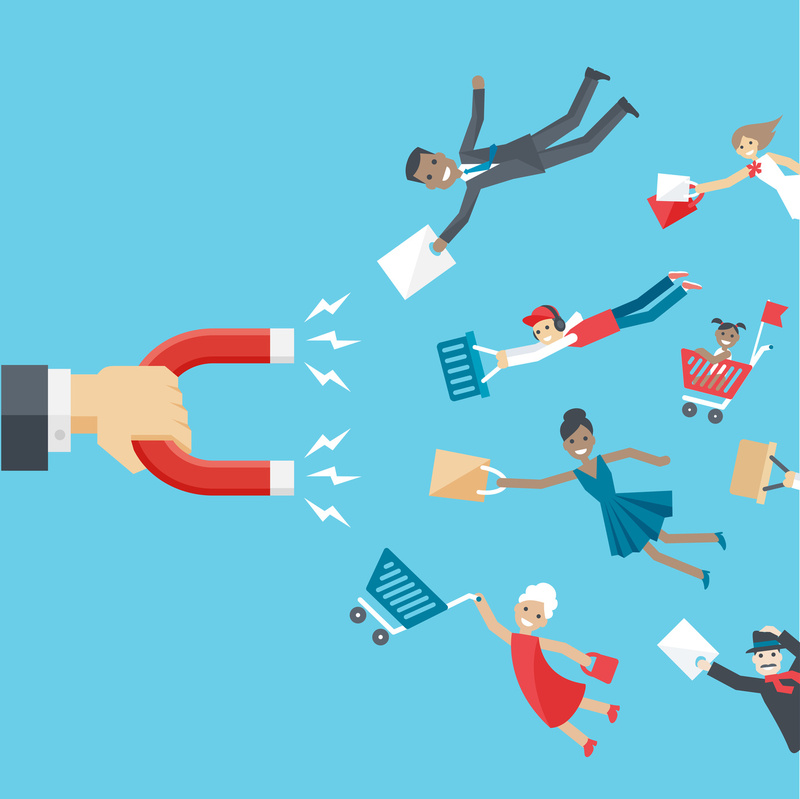 Nobody likes to be constantly bombarded with offers to purchase. Give followers lifestyle content that appeals to your demographic. Providing helpful hints, customer testimonials, and special information all serve to give your company a personality. Keep people interested and they’ll keep coming back. Create Facebook specific offers or use discount codes with strong calls to action that are available only to your followers. This will grow your fan base and create a club-like feel for special “insiders” reserved only for your followers. Give them exclusive sneak peeks of new products or info. Make sure to use Bitly links on your Facebook page as that will give you absolute metrics of how many people have clicked from your posts to buying pages on your website. On a regular basis you should return to view your analytics, both from your website & social media platform, to see what’s working and what isn’t. Understand why and fix it. The growth of unique visits to your site will amaze. And of course, with a larger social community that is talking about your products and purchasing them, the resulting increase revenue will definitely please! Social Media. Businesses Cannot Survive Without It! In 1995 Newsweek published an article titled “The Internet? Bah!” In it was written that the internet was a passing fad and that on-line business would never materialize. An interesting quote from the article “We’re promised instant catalog shopping – just point and click for great deals. We’ll order airline tickets over the network, make restaurant reservations and negotiate sales contracts. Stores will become obsolete. So how come my local mall does more business in an afternoon than the entire Internet handles in a month?” Fast forward 24 short years, can you imagine business today without the internet? Obviously the author was more than a little off in his assessment. We now take for granted doing business on-line. The way we do business today is transforming at a break neck pace. The internet has become like the wild west of bygone years with limitless potential and opportunity and yet, there are still companies waiting for the fad to end. I think we can safely assume that social media is not a passing fad. In 2016, not leveraging social media for your business is comparable to saying the internet was a fad a mere 20 years ago. Having come from a traditional marketing background, I see the potential with social media to cost efficiently reach a specifically targeted demographic in a way traditional marketing vehicles could only dream of. I have seen, first hand, many companies successfully leveraging social media to build brand and generate revenue. In support of these claims, here are some relevant statistics: According to the Pew Internet Project, three quarters of adults who are on-line use social media. The millennials, who are tomorrow’s consumers, increase that number significantly. The average social media user is on-line for 1.7 hours daily (12 hours a week) according to Global Web Index. Today’s youth watches more YouTube than television. There are 1.4 billion Facebook users around the world who average more than 20 minutes per day, ever day, on that platform alone. Social media drives more traffic to websites than do search engines. Can your company survive without social media? 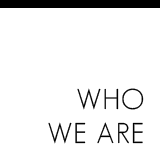 Possibly, but a better question may be why any business would not want to be where their stakeholders are. Your customers are on social media. Your competitors are on social media. 90 percent of businesses see increased exposure and more than half report improved sales from social media. Social tools are being used to streamline customer service, for shopping and commerce, and for product development, sales, and HR. So, is social media a fad? The more than 1 out of every 4 human beings on the planet who use social media don’t think so. Imagine if you believed that Newsweek article and waited for the internet to fade into oblivion. Would you have a business today? Social Media? Yah! Most savvy business ow ners have realized that in today’s business environment they need to be leveraging social media in some way. They are not always or entirely sure precisely why they need to be there or what they hope to derive from it, but some forge ahead nonetheless with a “presence”. Simply having one or more social media accounts is not the same as actually managing them based on a clear strategy that will effectively market your business and grow your brand. And that’s the trick! How can we leverage social media to generate more customers? As soon as Facebook become a publicly traded company and had to become profitable, free exposure for business ended. Today, to reach your targeted customers and grow your following, you need to pay to play, or risk being left on the social media sidelines. A common misconception of Facebook is that all your followers can automatically be reached just by making a post to a company page. Facebook has adjusted its algorithms such that when a company does post content, it generally reaches only about 1% of followers. Facebook has forced businesses to pay to reach them. There are 2 options to reach existing and potential customers . Your first choice is to create an ad targeted to followers, friends of followers or a specific demographic group. The second option is to “boost” a post by paying to reach a targeted, larger percentage of your followers and their connections. Boosting posts is very cost efficient and easily done. 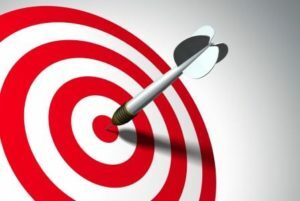 For a few dollars a day you can target more accurately than is possible with traditional media, and this can be accomplished based on a plethora of preferences. Incidentally, it’s not only Facebook that has begun to monetize its platforms. Instagram, Twitter and LinkedIn have begun to offer several new advertising methods to reach consumers. The result of social media machines like Facebook, Instagram, Twitter & LinkedIn needing to turn a profit has resulted in a new era of social media marketing where businesses must dedicate an advertising budget if they hope to have a successful presence. For companies that choose not to allocate ad spending to their pages, organic growth will be at a snail’s pace, as your content will be seen by very few people. Regardless of the route you choose, the basic rules of social media still apply. Your content must be compelling, engaging, interactive and entertaining. Social media platforms are no different than any other marketing vehicle. You’ll have to pay to reach your demographic or risk being invisible. It is, however, far more cost effective than traditional media and offers the opportunity of maintaining an ongoing relationship with your consumers. Social media is word of mouth on steroids. To be successful at it where you increase your customer base, create brand recognition, generate sales and repeat business, well… you must be willing to put your money where your mouth is! 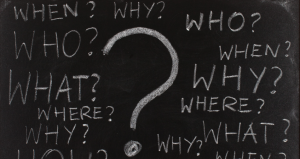 We’re all familiar with the five W’s: Who, What, When, Where and Why. These simple questions are the cornerstone of journalistic reporting, and represent the very basis for uncovering the facts of any given event. Who is your demographic? Are you trying to reach those who are interested in your products or have used them? Is it people interested in your industry? Once you have established a target audience you can target posts and ads that will reach and engage that audience. WHAT ultimate objective do I have for my social media page? Sounds like a simple question but it can also have several answers. Do you want to build your brand? Is it a means to keep in touch with an existing customer base while building you online community? Are you hoping to increase revenue by driving traffic to a brick & mortar location or your e-commerce website? Knowing your purpose will allow you to craft and deliver a message consistent with your goal. 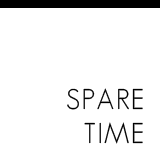 “When we have time” is not the answer you should be hearing. Consistency is king. Each platform has it’s specific guidelines for posting frequency. Facebook, no more than once a day. Twitter, several times a day is acceptable. Don’t over-post! You can also review your analytics to see when your targeted demographic audience is on-line, to achieve optimum results. WHERE will my content come from? You may not realize it but, in all likelihood, you already have plenty of content that is ready to be leveraged into your social media platforms; articles, photos, videos, text etc. Those brochures that you use as sales tools are a gold mine of content that can be broken down into many posts. But, as per the 80/20 rule you also want to be offering industry-relevant content to your stakeholders that they will find engaging, and which indirectly supports your company’s value proposition via related information. 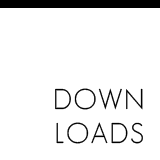 There’s a wealth of available content that you can link to and disseminate. WHY will anyone follow me? If you build it, they may not go. You have to be interesting, engaging and offer content to followers that they will find interesting. You must behave as a lifestyle magazine for your business segment. For example if you sell coffee mugs, you can’t just constantly be promoting them. Instead, offer interesting information regarding the history of coffee, list great coffee houses throughout the world, provide facts about the manufacturing of coffee and even the production of your mugs, as well as other similar topics. You may also offer holiday based themes and extend them as being portrayed on holiday mugs to generate interest among your followers. © Cytryn Design & Communications 2018. All rights reserved.